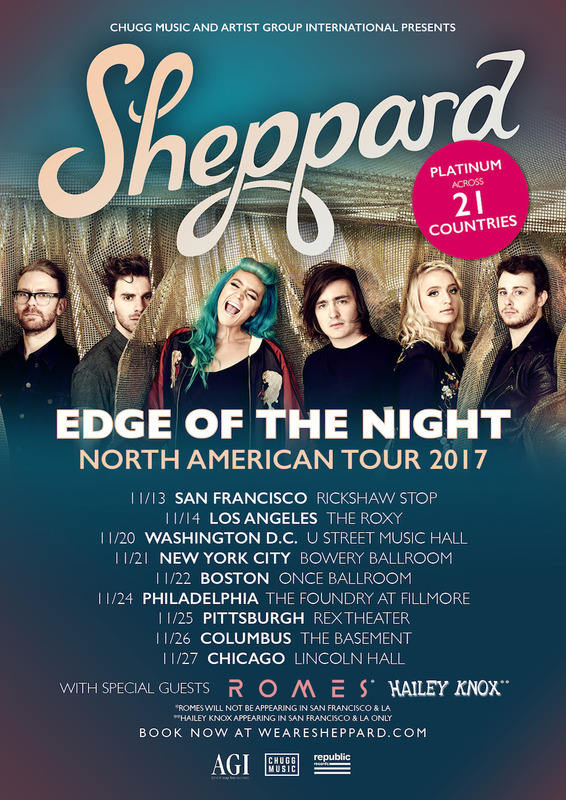 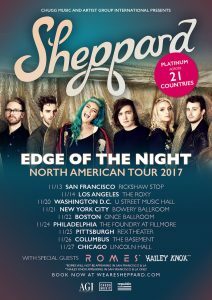 Sheppard opened this LA show with their newest track, “Coming Home.” It is the first taste from their forthcoming sophomore album due out in 2018 via In2une Music/Republic. The inspiring and uplifting sentiments of this upbeat new song only continued as the night went on. They went on to perform mostly newer songs, including “Love Me Now,” “Edge Of The Night,” “Choke,” “Live For You,” “Call Me Up,” and several others. 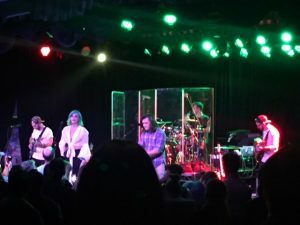 During their incredibly catchy favorite “Let Me Down Easy,” the entire crowd began singing along. 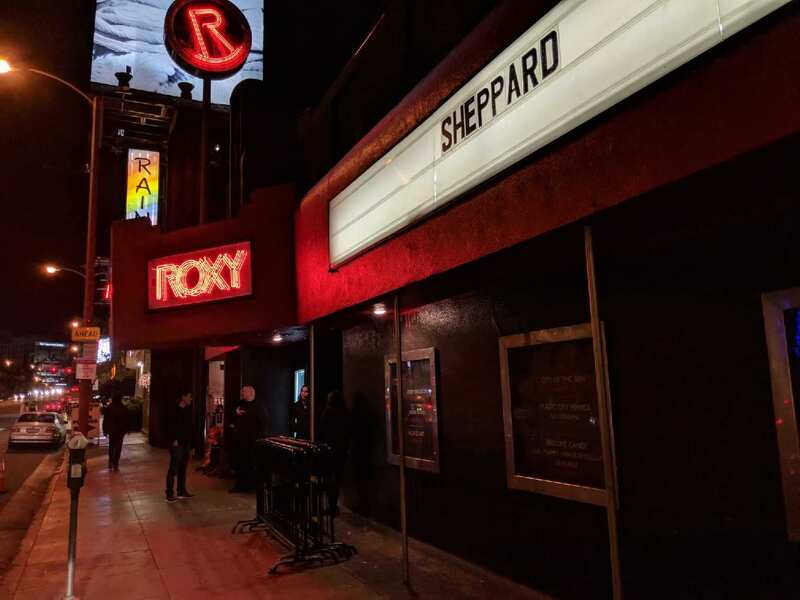 It was fun to see Sheppard towards the end of their set doing a cover of Stealers Wheel 1972 hit “Stuck In The Middle With You.” Before closing the show with their biggest song to date, “Geronimo,” the group thanked the crowd for coming out to Hollywood on a Tuesday night. 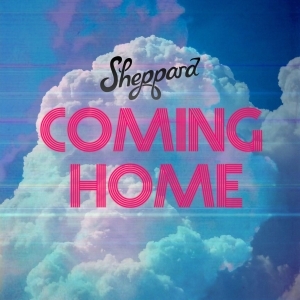 There is no denying that while their new music sounds fresh and new, their signature Sheppard infectious hooks are still heard throughout their songs and that is definitely a good trend to continue.